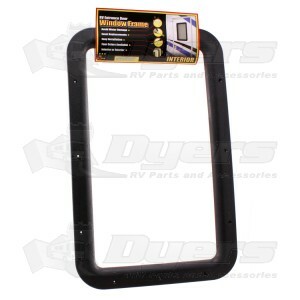 Replace your RV's interior or exterior entrance door window frames with factory authorized replacement parts! Note: Glass window is held in position by frames only! Glass and screws sold separately. It is strongly recommend that you replace both in interior and exterior frame at the same time to ensure proper seal.